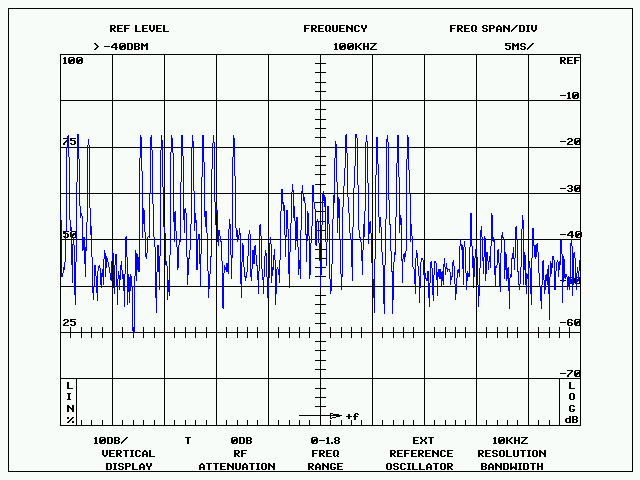 I was wondering what Loran signals look like. I took a few shots with the Tek 494P spectrum analyzer using my low band antenna (a 20m piece of wire slopping from about 50 feet down to 30 feet). I am not very far from a powerful Loran station, Malone, FL LORAN, about 30 miles due south of Dothan, AL. The signals are loud, in spite of the fact that my antenna is way too short and too low to be effective at that frequency. A tuned loop would probably work much better. The first 3 pictures were taken with the analyzer in Peak-Hold mode for about one minute. 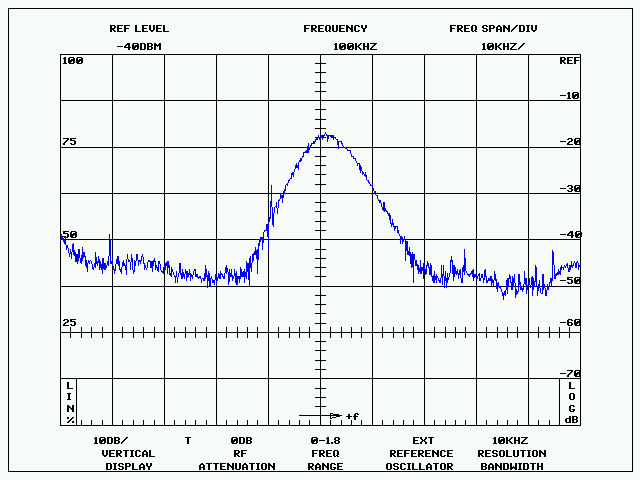 The Loran signal being pulsed, a single sweep does not reveal the actual spectrum. Screen shots courtesy of John Miles' 7470 emulator software with a Prologix GPIB-USB controller plugged in the spectrum analyzer. 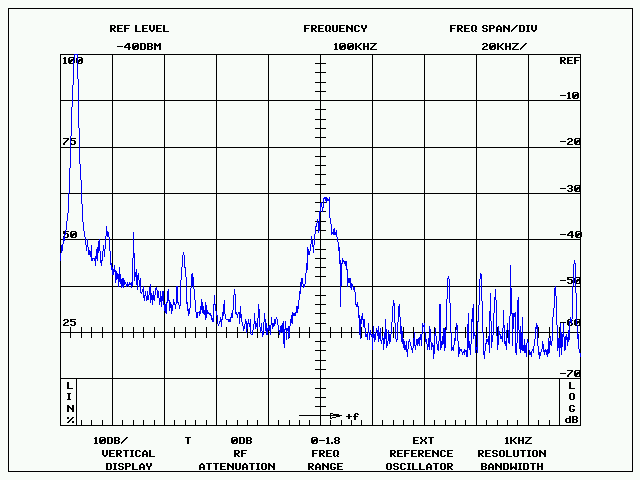 This is a narrow Resolution Bandwidth (1 kHz) measurement. The RBW is too narrow to properly show the occupied spectrum. 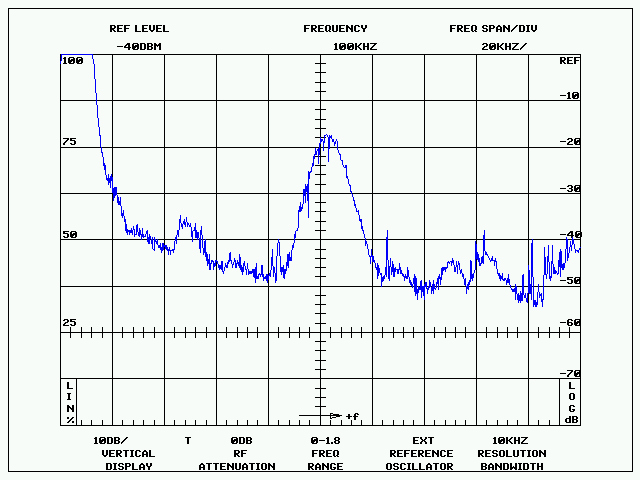 This is a shot with a 10kHz/div span and 10 kHz RBW. 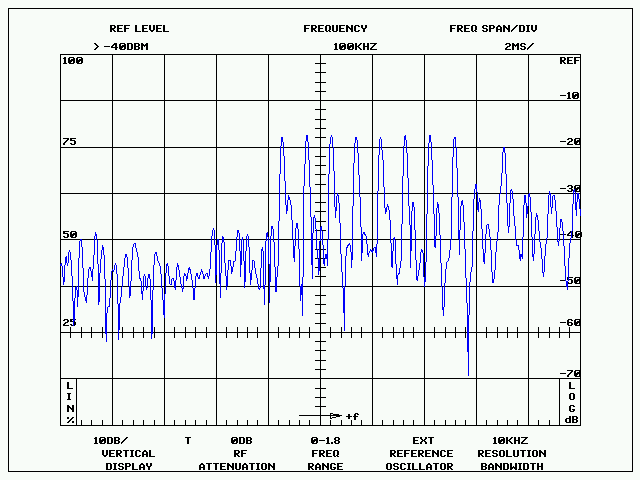 You can clearly see the pulses, the different amplitudes come from different stations.